I have a story I’d like to share with you. It’s a story about a journey I took a few years back. This was not a physical journey, but rather a journey of the mind, the heart and the soul. It was a journey that began with a look back at my childhood and ended with a vision of the future. I wasn’t certain exactly where this journey would lead me. But it resulted in an extraordinary rescue… the saving of a dying language. I grew up in a home where my parents spoke a language that is completely incomprehensible to a vast majority of the world’s inhabitants. They came to this country as refugees, and they spoke Circassian. Like many Circassians – a people whose homeland is in the North Caucasus of the Russian Federation – they did not know how to read or write their language. And while I heard the Circassian language spoken daily in my home, I never learned it. I learned English – mostly through school – and spoke it exclusively. Like many folks, I left home to attend college, and I was able to build a successful career—first as an entrepreneur, and later as a Fortune 500 executive. Suffice it to say, things were going well. For someone who never heard his parents speak much English, I think I was doing a pretty good job of living the American Dream. Don’t get me wrong. I wasn’t unhappy. I was very content in my marriage, loved my kids and owned a nice home in a safe neighborhood. I was making a good salary and living the type of life many people strive for. I was well-liked by family, friends and neighbors, and respected by colleagues. But I was feeling a tugging at my heart. There was something else I instinctively knew I needed to do, and then suddenly it dawned on me. I decided I wanted to learn how to speak the first language I ever heard spoken… Circassian. This was about taking on a new challenge. This was about being able to better communicate with family members and other Circassians. This was about digging deep and finding my roots. And as it turned out, this journey was about much more than I could have possibly comprehended at the time. Flush with excitement about tackling this new goal, I was quickly brought down to earth. It wasn’t long before I realized just how daunting this task would be. First of all, Circassian is organized into a dozen different dialects, three of which are extinct. Second, the language has 56 unique sounds, several of which are very difficult to pronounce. Those sounds are written in the Cyrillic alphabet, which has only 33 letters. So, there are many multi-character letters. Third, word and sentence construction are very complicated. The grammar is extremely difficult to learn. Fourth, there were almost no materials available to help someone learn Circassian. And certainly none for people without a background in the language. In other words, I was pretty much on my own. But I wasn’t about to let that stop me. I won’t bore you with details about the time I spent learning Circassian, but suffice to say that my quest ended with a strong command of the Circassian language. I am often mistaken for a native, fluent speaker. My journey also led to me produce books, videos, tutorials and guides about the language for the Circassian diaspora, and my teaching materials have been translated into numerous languages. 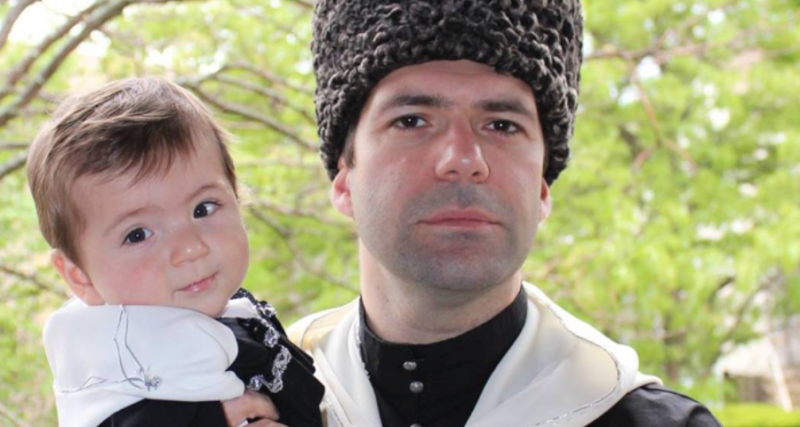 I’ve traveled the world, teaching thousands of students to speak, read and write Circassian. It’s not an exaggeration to claim that I have helped save a dying language. If that were the end of my story, I would consider my journey successful. Despite many hurdles, I accomplished what I set out to do. In fact, I took it several steps farther. I did not merely learn to speak Circassian. Over the course of my journey, I discovered something even more valuable. I unearthed a secret. I discovered HOW to learn a language. I immediately realized this secret knowledge I had acquired was not something to tuck away in a corner. It was something that needed to be shared with everyone interested in learning another language. For decades, we’ve been taught the best way to learn a language is by memorizing boring vocabulary lists and endless grammatical rules. But I discovered the ideal way to learn a language is how you learned to speak English as a toddler. By listening to those around you, you learned how to get and give what you wanted… everything from food to a hug. Of course, learning Circassian as an adult, I was clearly no toddler. Through trial and error, I developed my own method to learn a new language. By using a system I call Guided Immersion, I was able to take the essence of how a toddler learns English, refine it with cutting-edge language-learning research, place structure around it and adapt it for adults. Different language-learning companies use different approaches. After a decade of real-world experience, I developed an approach that I call Guided Immersion. It begins with a focus on common phrases and high-frequency words. Both are placed in the context of native speakers and everyday activities, so you hear how the language is spoken in the real world and learn to speak naturally, as native speakers do. In every lesson, content is presented across your target language and English, in both directions. This is an effective process because different parts of the brain are responsible for translating from another language into English, and from English back into another language. Guided Immersion also adds structure and context to explain how and why a certain word or phrase is used in the way it is presented. Rather than learning boring grammatical rules and endless vocabulary words that lack context, Guided Immersion teaches real-world applications. Using Spanish as an example, here’s what I mean. Additionally, Guided Immersion uses a Spaced Repetition System (SRS), which present and re-present content at graduated intervals, like High-Intensity Interval Training for your brain. This approach delivers faster results in less time, with greater active recall. This proven, science-backed approach is used in many learning applications outside of language learning, and is a welcome departure from mindless repetition and rote memorization. Guided Immersion is what helped me to learn one of the most complicated languages on the planet. I learned how to speak Circassian in a very short period of time, to the point where I am often mistaken for a native, fluent speaker. This is also the approach I have used to teach thousands of other ethnic Circassians how to speak this language. Of course, I often wondered: as powerful and efficient as Guided Immersion is, does it work with other languages? I decided to find out. CLICK HERE to learn what I discovered. How Many Words Do You Need to Know to Become Fluent in a Language?